Bangkok is a fascinating city with many popular tourist attractions. It is difficult to choose the best things to see and do when each attraction has its appeal. 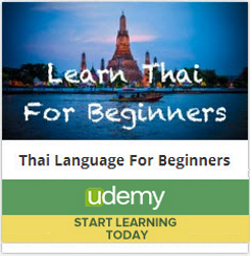 You will find information about a couple that you must see, especially if you are planning your first vacation to Thailand. There is a link to many more tours at the end of the article. If you are interested in a more modern version of Ayutthaya, you should see the Grand Palace in Bangkok. Ayutthaya was destroyed and the ruins give it an artistic value, but the Grand Palace is still standing in all its splendor. King Rama the First started building the palace in 1782, not long after the temples of Ayutthaya were destroyed. In fact, the new palace was built to follow many of the same features of the former palace in Ayutthaya. Visiting these locations back to back can almost feel like time travel, seeing the temples both before and after they were destroyed. King Rama chose to move the capital to this location, and this is where it has remained ever since. At some point during your trip you are likely to visit the capital city of Bangkok, and you should be sure to see the Grand Temple while you are there. Today, the Grand Temple is an entire complex of magnificent buildings. Since its construction, the Kings who reigned here have made many additions to the palace complex. It is still used by royalty for important events, such as weddings and funerals. People like to bring some souvenir cash with them when they go on vacation. Shopping can be exciting as well as fun in a foreign country, if you know where to look. Even the shopping itself can be as enjoyable as the possessions you buy. A great example of this is the floating market of Bangkok. This is a great way to spend the extra change from your vacation fund. 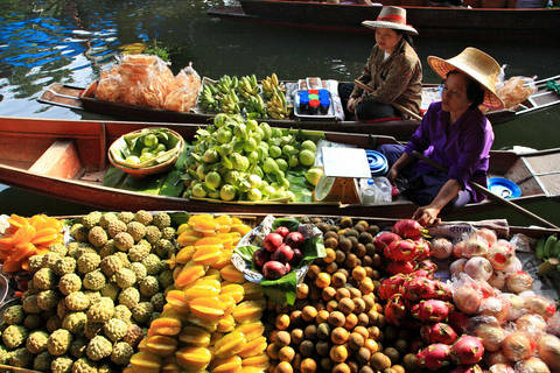 The floating market of Bangkok is exactly what it sounds like. Platforms stand on each side of a canal. Boats carrying goods float down the canal, selling their merchandise right from the belly of their boats. This is not only a fun shopping experience but also a thrill for all your senses. Vibrant colors can be seen everywhere, as merchants sell piles of bright colored fruit from their boats with exotic umbrellas offering them shade. Some of the boats are so elaborate that they have a miniature kitchen onboard, and can sell you an entire meal. If you want to try some genuine food from Thailand, this can be an amazing way to do it. Not only can you buy food, but you can also find clothes and all sorts of exotic and hand-crafted goods. The spot has become a famous tourist attraction and many of the merchants understand English. This is a great way to spend an afternoon. Plus, you'll then have a present for everyone who said, "Bring me back something from Thailand!" While there is much more to do in Bangkok, these are certainly two of the most popular tourist attractions and a couple that you must see if you have never visited them. 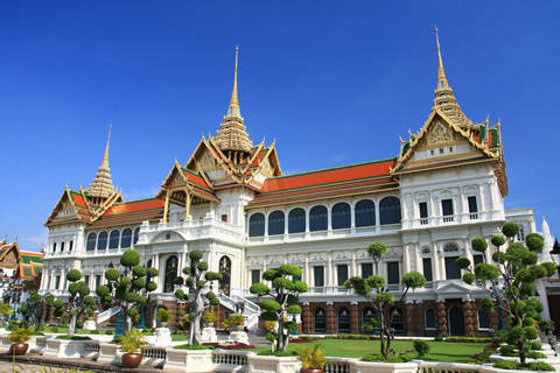 For many more attractions, visit the Bangkok Tours page.